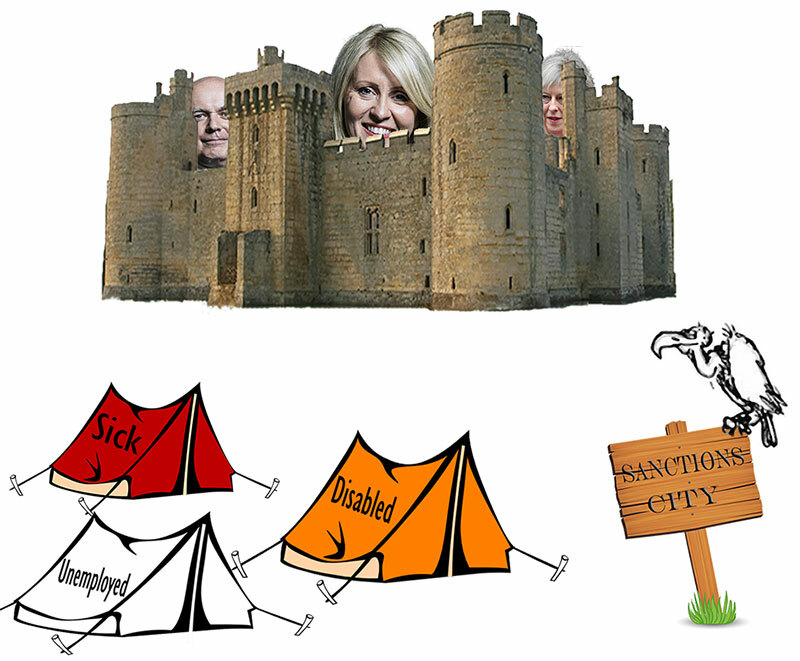 Universal Credit is harsh by design and cruel in its intention. whilst the poor outside succumbed to starvation. A National Audit Office (NAO) report revealed that Universal Credit is not value for money and may even cost more than the benefit system it has replaced. More importantly it slammed the failure to respond to the “the hardship faced by claimants” as more and more are driven into destitution by the system. Whilst UC is sold to the general public as a simplification of the benefits system, it is sold to employers as giving them ‘access to a more flexible and responsive workforce’. Part-time jobs and zero-hours contracts have proliferated in recent years, because they suited employers, but UC seems designed to keep workers in this casual, insecure employment under constant pressure. They will be required to attend a Jobcentre and demonstrate that they are attempting to work more hours or increase their pay, on pain of sanction. So UC is paid monthly in arrears because it wants claimants to behave as if they have a steady and secure income, pressures them to try to increase their earnings, but enables and encourages employers to turn those same workers on and off like a tap. It’s despicable. Up here, the Scottish government has been given very limited powers to mitigate the effects (I think they can make it fortnightly instead of monthly and – might be wrong about this bit – pay the housing element direct to landlords) but it’s not enough to prevent suffering. The Scottish Government care about the people Anabel, unlike the contemptible Tories. I see I liked that post at the time – and it is coming to pass, as best it can within the limits set on the Scottish Govt. Eg assessments for disability benefits are to be done in-house and not by private companies now. People with experience of the system ARE being included in the planning. But it’s not enough. I wish you love and happiness for 2019 Ronnie. I have just read your blog (there was no “follow” button available) I sincerely wish you all the best for the coming year. You could really do with a change for the better.